Welcome to the e-Bug Teachers Area! The Public Health England e-Bug team is collaborating with the Public Health Agency to disseminate the e-Bug educational materials to schools across Northern Ireland. As part of the project, 100 educators across Northern Ireland were trained on the e-Bug resources and activities in summer 2018. Watch the video to see the e-Bug training and activities in action and hear feedback from attendees. The National Institute for Health and Care Excellence (NICE) has endorsed Public Health England’s e-Bug resource and recommends that all schools use e-Bug to teach children about hygiene, infections and antibiotics. e-Bug is included in NICE guidance on antimicrobial stewardship and changing behaviour around antibiotics which you can read about here. Watch the e-Bug activities in action in the video above! 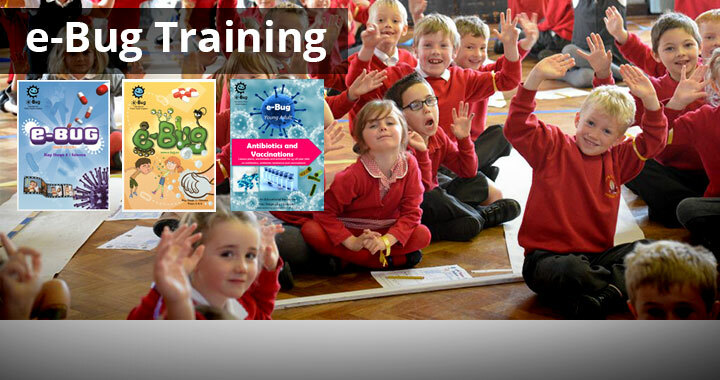 e-Bug are delivering FREE face to face training to give educators the skills, knowledge and confidence to teach about important health topics using e-Bug resources. NICE guidance released in January 2017 recommends that schools use e-Bug to teach students about the topics of hygiene and antibiotics. The next e-Bug training will be held in the new academic year. Please email e-Bug@phe.gov.uk to register your interest on this course or express interest in future courses. 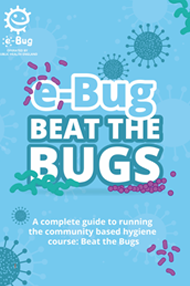 e-Bug have developed a community hygiene course called Beat the Bugs. The course consists of 6 individual sessions to be delivered in a community setting, covering the topics of: an introduction to microbes; hygiene practises to reduce the spread of infection; how to prevent food bourn microbes from spreading; tooth decay and oral hygiene; antibiotics and antibiotic resistance; and a final session on self-care. All sessions can be downloaded from the Beat the Bugs webpage here. Please contact e-bug@phe.gov.uk if you are interested in receiving free training to deliver the course. Did you know that e-Bug is active on social media? 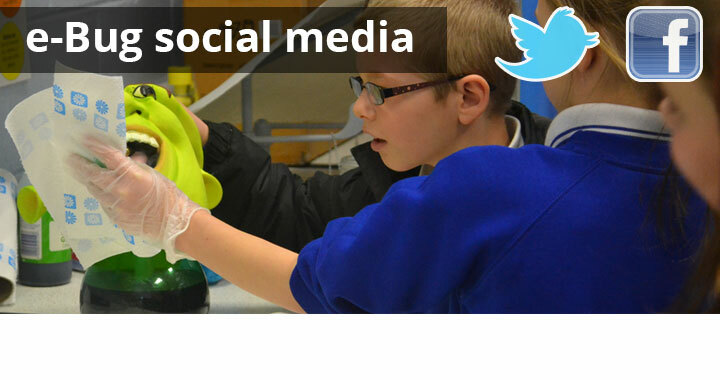 Follow us on twitter @eBug_UK and Facebook @eBugEngland where we spread the message of health education, update our followers on new resources, and share information on events that the e-Bug team are at. We will be running some promotions so keep an eye out for these and let your colleagues know about our facebook and twitter pages! 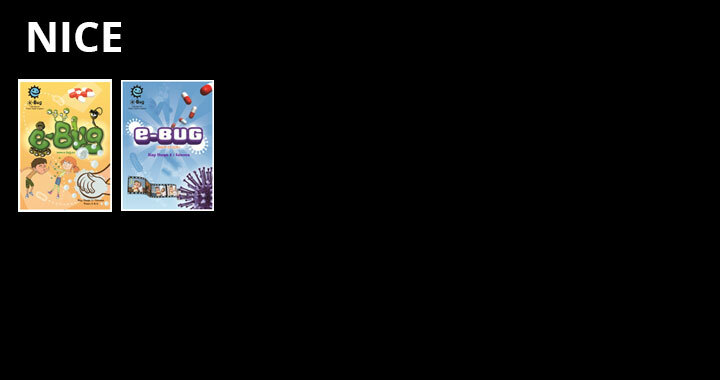 e-Bug is a free educational resource for classroom and home use and makes learning about micro-organisms, the spread, prevention and treatment of infection fun and accessible for all students. MS PowerPoint presentations to assist with the more difficult aspects of microbiology. All activities and plans have been designed to complement the National Curriculum. The student pages complement the teacher resources by providing online games, revision pages and lots more to continue the learning experience at home. National Institute for Health and Care Excellence (NICE) guidance on antimicrobial stewardship and changing behaviour around antibiotics recommends that all schools use Public Health England’s e-Bug resources to teach children and young people about hygiene, infections and antibiotics. This document outlines what NICE guidance is, why it is important, what this means for schools and teachers and how you can get involved in tackling antimicrobial resistance. World Antibiotic Awareness Week (WAAW) is an annual World Health Organisation campaign held in November, with European Antibiotic Awareness Day falling on the 18th November. Both campaigns aim to raise awareness of proper use of antibiotics and the threat of antibiotic resistance. The e-Bug European Teacher Advisor Network (eTAN) is a network of teachers in e-Bug partner countries that will collaborate to promote the widespread use of e-Bug. The network will provide a platform for innovation, knowledge exchange, application and dissemination of e-Bug resources. This will allow the widespread promotion and education of important health topics between countries and regions. Sign up now for the e-Bug school newsletter. The latest teacher newsletter can be downloaded here. Find out what’s new for January 2019! 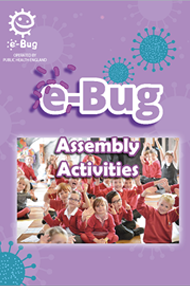 The Assembly Activities Pack details fun, interactive and visual activities that are ideal for use in assemblies. Topics include microbes, and the spread, prevention and treatment of infection, including antibiotics and antibiotic resistance. The activities can be used during a school science week or to align with a national health campaign. Activities include ‘The Snot Gun’, glitter hands and a balloon popping antibiotic resistant activity! The e-Bug have developed Peer Education resources for use in schools. These resources allow students to act as peer educators by delivering e-Bug activities to other students in their school. Through peer education, students can develop a range of skills such as confidence and communication whilst also increasing their knowledge. To download the resources and find out more, visit our peer education webpage here. 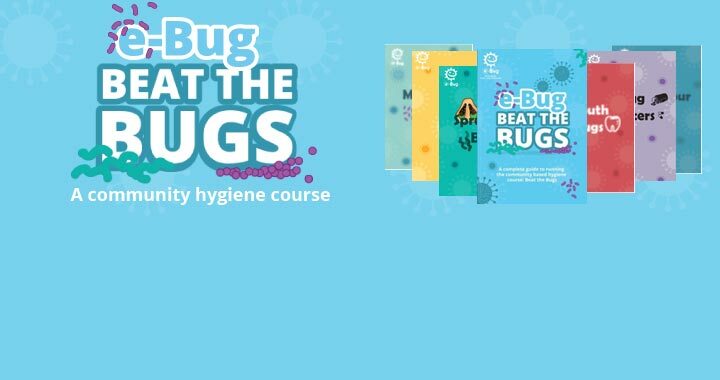 Beat the Bugs is a fun and interactive community hygiene course which aims to increase awareness and change behaviour around hygiene, self-care and antibiotics. The course covers an Introduction to Microbes, Hand and Respiratory hygiene, Food hygiene, Oral hygiene, Antibiotics and Self-care. This course can be used with a range of community groups. To find out more and download the resources, visit the Beat the Bugs webpage here. In 2012 we broke a Guinness World Record for the largest simultaneous hand hygiene lesson plan at multiple venues. Well done to all the schools who participated! Read about it here.